Daleys Fruit Tree has Plants for Sale to Baralaba and can Mail Order them to you door. Click to Find out how much Freight Will Cost. 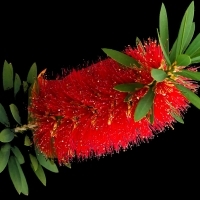 A dwarf Bottlebrush with bright crimson blooming over a long period. A very hardy little shrub that is easily maintained. Crops heavily and regularly in subtropical climates with high quality delicious fruit. Compact growth habit. 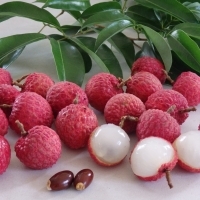 Freshly picked Lychees are absolutely delicious compared to canned or supermarket fruit. Prefers sheltered, rich well drained soil, with lots organic mulch.